A U.S.-based Web builder and hosting company with data centers on both costs, Web Hosting Hub offers competitive services geared toward small businesses and individual bloggers. Offering three different hosting plans, chances are you’ll find one that fits your needs. Formed in 2001, the company promotes itself to those that are new to the Web and want a quick-start website. With locations on both coasts—including the first green hosting center in Los Angeles, Web Hosting Hub offers its customers a choice of data centers. In addition to hosting services, there are affordable Web design solutions available, a personal onboarding phone call to assist with account creation, and a trophy case of industry awards. This company has built a name for itself as a one-stop shop Web hosting provider. With design help, over 300 free web tools, and instant WordPress installation, Web Hosting Hub is an appealing option for bloggers looking to get a page up and running quickly and efficiently. Its scalability is also great for personal and small business sites that may expand over time. I found that the expertise in Web design--in addition to traditional hosting services--make it attractive to the creatively challenged. For those of you looking to minimize your carbon footprint, take comfort in the fact that Web Hosting Hub is a certified green host, too. 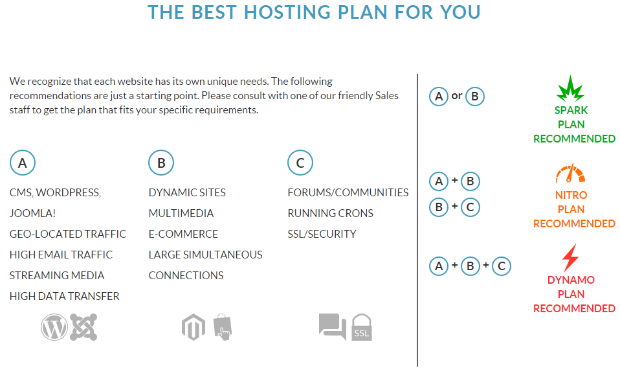 There are three hosting options, all of which come with the premium website builder software, giving you access to over 500 Web Hosting Hub templates. 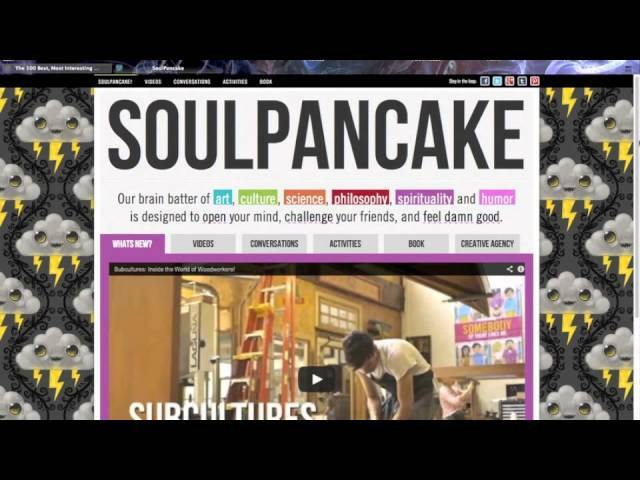 Each template lets you customize the color theme, fonts, and header. They also have built-in features for adding your custom logo and creating a flash intro for your page. If one of the 500 templates didn’t catch your eye, all is not lost. An option during your account creation is to auto-install WordPress. Should you go that route, you can tap into WordPress’ treasure trove of templates. This service is not designed for rookies. That is not to say that it is difficult to use, just that some of the tools may take some getting used to. The pay-off is a great-looking online project, though. The company does have a Web Hosting Hub site builder, which simplifies the process and has a knowledgebase full of tutorials should you need them. If you are not a design pro, I highly recommend taking advantage of this wealth of information. The premium website builder is simple to use. Once you select and customize your template, you can easily make changes with the point-and-click editing tool. After you are happy with the results, one mouse click publishes it to the Web. Installing applications is ridiculously easy. Web Hosting Hub uses Softaculous as its app installer. One click and the application is set up and online. With this company, you have more control than some other top web builder services give. The Web Hosting Hub cPanel is the industry standard back-end control mechanism. However, if you are not used to working in the cPanel, it may take some time to get used to. Again, it is not hard to do, I just shy away from calling it “easy” for the first-time user. Web Hosting Hub prices can be somewhat confusing at first glance. There are three tiers from which to select: Spark, Nitro, and Dynamo. Each tier has a regular price and a special offer attached to it, with the lower price being the default. Plans are sold in three-year increments and are set up to auto-bill for renewal. The company’s Web design services—starting at about $120—are an add-on feature and not included on the main pricing page. For customers paying extra for the Nitro and Dynamo plans, there is a Web design discount reflected in the listed price. For an additional $1 per month, you can also buy scheduled data backups performed by the Web Hosting Hub support team. Customers can produce some fantastic-looking mobile Web pages. However, those pages were not made with Web Hosting Hub’s premium website builder. The included Web builder does a great job of letting you design a page for the Web, but not for mobile. If you want a fully functioning mobile version, you are better off using WordPress (installed free during your account set-up) and then using one of its plugins to create the mobile version of your site. Web Hosting Hub mobile sites that are built using this method look great and are highly responsive. So, you can have a mobile site with Web Hosting Hub, you just need a little help from WordPress. Every hosting plan comes with the option to auto-install the PrestaShop shopping cart application during your account creation. You have more options than that to control inventory, shipping, and order tracking, though. Once your account is up and running, you can find many more ecommerce tools to help you take your goods and services to the online market. If you don’t like PrestaShop, you can grab something like Zen Cart, Cube Cart, or OS Commerce instead. You can use a content management system (CMS) such as Joomla, Drupal, or Moodle to showcase your wares, too. If you want to spend a couple of dollars, you can use the Web design service, which has ecommerce solutions including shipping calculators, the ability feature products, and language translation capabilities. As with most businesses, Web Hosting Hub does many things well, but has areas where it could stand to improve. Here are some highlights and blemishes that tend to stand out more than others. Web Hosting Hub gets mixed reviews for its customer support. The company offers live, U.S.-based tech support 24 hours a day, which users tend to love. The staff is quick to reply to your query. However, after initial contact, sometimes a help ticket is created and the issue is resolved later. The general agreement among customers is that the support team is spread a little thin as opposed to being incompetent. Live chat is slow, giving the impression that the employee on the other end of the keyboard is working with multiple customers at the same time. Ultimately, issues are resolved positively; however, the unresponsiveness during the initial request taints the overall customer support experience. You are not going to find any revolutionary SEO tools with Web Hosting Hub. As with most Web builder services, you receive advertising credits with your hosting plan. To portray what is the industry standard as an added bonus comes off as slightly misleading. Yes, Google AdWords does drum up quality traffic and funnels it to your website. Just don’t make it seem like you are giving me something that I can’t get everywhere else though. I will say, though, I have found that their Web design service follows up-to-the-minute on-page SEO best practices to better position your website. The long and short of it is that Web Hosting Hub offers average SEO tools. They are not going to blow your socks off, but they aren’t going to leave you hanging, either. This company is a standard shared Web hosting provider. All of their plans offer unlimited disc space and bandwidth. Free domain names and SSH access are included with your monthly fee, too. If needed, you can purchase unlimited domains and sub-domains as well as unlimited SQL databases. The Nitro and Dynamo plans give customers a choice of hosting locations. They have an East Coast data center in Virginia Beach, VA and a West Coast operation in Los Angeles, CA. Shoppers interested in green hosting should opt for one of these plans as the California facility is the first green data center in the LA area. The company—and some other reviewers—suggest that proximity to a data center increases efficiency. I don’t buy into that. We don’t live in a dial-up world, anymore. A few milliseconds saved here or there is not a selling point. 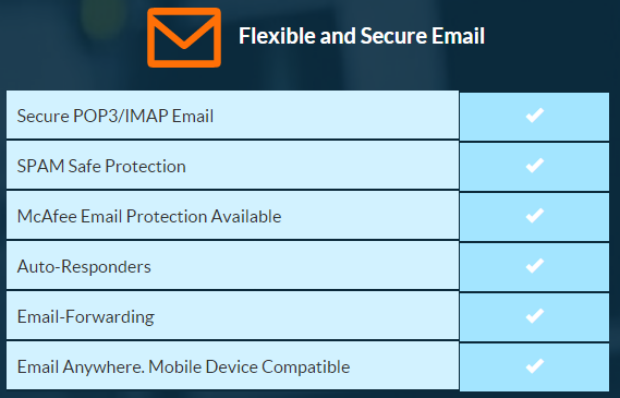 As with many providers, your hosting account comes with an unlimited number of email address. You can set up separate accounts for every employee for privacy or for every department for ease of organization. If you have an existing Web page that you are bringing over to Web Hosting Hub, you can migrate its emails along with it. Should you need any help setting up the Web Hosting Hub email for your personal site, you can refer to the handy tutorial located in the company’s knowledgebase. Industry reviews are fairly consistent for Web Hosting Hub. Typically, most reviewers like the value for the price. You really do get a lot of features, tools, and add-ons with your monthly fee. Going from zero to up and running can be pretty quick according to most. The Softaculous application installer is also raved about for script installation versatility. Finally, reviewers seem to love Web Hosting Hub’s 90-day money-back guarantee. As consistent as those positive reviews are, even more universal is the slamming of the responsiveness of the customer service. Most say that the support is helpful and are thrilled it’s based in the U.S., it just takes too long and the staff is seemingly bogged down. What website builder review would be complete without letting you know what you get for free? Unlike some other providers, Web Hosting Hub does not offer a free trial or a free test version of its product. It does include many free features, though (as do many competitors) like SSL certification, PayPal, and Google Checkout ecommerce tools. Customers also receive a Web Hosting Hub coupon, good for free Google AdWords advertising credits ($50 for the Spark plan, $150 for Nitro, and $200 Dynamo). All in all, Web Hosting Hub is a very solid choice for your site building and hosting needs. The company offers the tools you need to set up anything from a simple blog spot to an extensive online project or business. According to many Web Hosting Hub reviews, green hosting and one-click application installation will bring a smile to your face while the customer support may force you to grit your teeth. If you know your way around the cPanel and can afford three years up front, this builder is an attractive option.